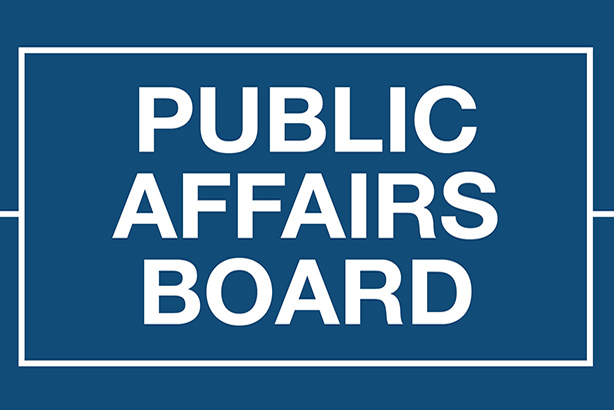 The Public Affairs Board (PAB) has published a new, unified Public Affairs Code for the industry, following an industry-wide consultation. The code comes into effect on 28 February when the Public Affairs Register next opens for updated transparency and disclosure returns. The PAB said it is nearly identical to the PRCA Public Affairs and Lobbying Code of Conduct and the Association of Professional Political Consultants (APPC) Code of Conduct, which it was based on. The code and its independent complaints, determination, and disciplinary rules and procedures will apply to all PRCA members that conduct public affairs. The PRCA-established definition of public affairs is used in the Code, defined as "activities which are carried out in the course of a business for the purpose of (a) influencing government, (b) or advising others how to influence government. The scope of ‘government’ includes, within the United Kingdom: (a) central government, devolved government, local government; (b) members and staff of either House of Parliament or of a devolved legislature; (c) Ministers and officials; and (d) public authorities. The full definition can be viewed here. This definition is already applicable to the vast majority of members of the merged organisation. The consultation considered four keys areas: applicability; UK-specific references; transparency references; and the disciplinary procedure. All Public Affairs Board members were asked for their input and the consultation closed on 18 January, ahead of the year’s first Executive Committee meeting. During the consultation, members were presented with an initial draft designed to reflect the Memorandum of Understanding and to ensure that the Public Affairs Code was appropriate for both consultants and in-house practitioners. "We were absolutely clear when the Public Affairs Board launched: the priority for the Executive Committee was to develop a new Public Affairs Code, not in isolation, but in open consultation with our members," Public Affairs Board chair Paul Bristow said. "Over the next month, we will be engaging in outreach and producing guidance, but this has to be framed by the fact that the codes were so incredibly similar. What it did give us an opportunity to do, however, was codify the commitments we made ahead of APPC-PRCA merger, and ensure that a proper, meaningful definition of public affairs was included in the Public Affairs Code." The full Public Affairs Code can be found here.